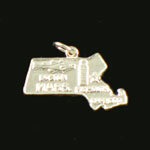 Our Boston charms are offered individually to add to an existing bracelet or for use with a chain as a necklace. 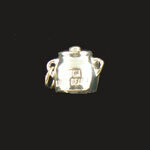 These charms include Paul Revere's lantern, U.S.S. Constitution, trolley, tri-corn hat, lobster, minuteman, lighthouse, and swan boat. 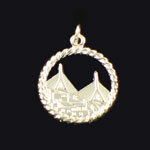 Handcrafted in 100% sterling silver using the same tools, skills and techniques as a fine piece of tableware. 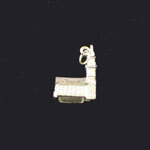 Every piece is made in the same manner today as centuries ago. We guarantee the quality and integrity of materials and workmanship in every piece, forever. 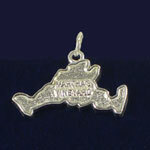 The dimensions of the charms are approximately as follows: Constitution 3/4" x 3/4"; trolley 1" x 1/2"; hat 1/2" x 1/2"; lantern 3/4" x 3/8"; Swan Boat 1" x 1/2". 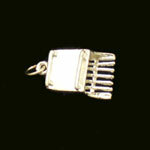 If the charm you would like is not shown here, please ask us about it. 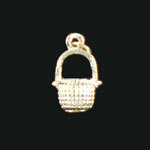 These charms are also available in gold. 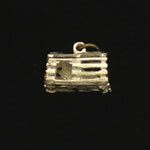 We are adding new items all the time. Contact us at 781-916-9012 or questions@massbaytrading.com. 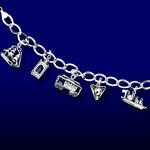 Individual charms shown above: USS Constitution, tri-corn hat, Boston trolley, swan boat, and Paul Revere's lantern.